Spire shares thought leadership on factors that drive the market forward through its own quarterly journal. China’s New Silk Road Initiative - An integrated trade strategy for the 21st century? The Belt and Road Initiative (BRI), announced in 2013, is not only China’s most ambitious global infrastructure project but also one of the largest ever attempted anywhere. It aims to develop a free trade zone and improve global connectivity across the Eurasian landmass. With an estimated investment of USD4 to 8 trillion and affecting over 70 countries, can China successfully connect all these economies together? The BRI mega infrastructure project aims to cement links with Southeast Asia, Central Asia, Russia and the Baltic Region. It aspires to establish a free trade zone through infrastructure developments among countries and continents. The idea of the BRI was inspired by the ancient trade routes used by Chinese traders to boost connectivity with not only neighboring nations but with distant countries as well, such as the Roman Empire. Pan-Eurasian trade routes were opened in 130 B.C. during China’s Han Dynasty, ostensibly for international trade, with silk as one of the major commodities. This is how the routes came to be known as the Silk Road. The two primary components in the plan, the Silk Road Economic Belt (SREB) and the sea-based Maritime Silk Road (MSR) come together to form the ‘belt’ and ‘road’. The SREB passes through Central Asia and connects China with Europe. The MSR passes through South Asia, Southeast Asia, the Middle East and East Africa, connecting China to these regions. Deemed as the project of the century, BRI is not just another outbound investment program. Its primary focus lies in improving connectivity between Africa, Europe and Asia which it is hoped will increase development, trade and prosperity – a 21st century Silk Road. What can the BRI offer? 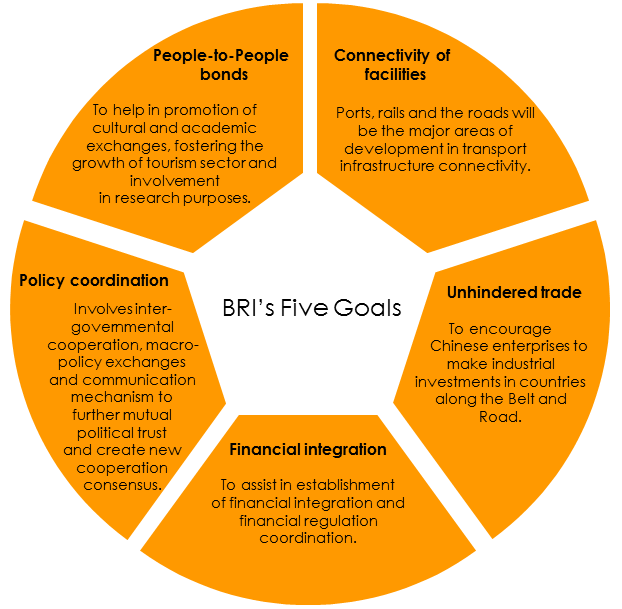 The BRI is a national vision of international scope and ambition. It aspires to cultivate peace, co-operation and development; to create a ‘win-win’ situation for both the architect and participating states of BRI. China is yet to set a concrete map of BRI initiative to link the east and the west over land and sea. Nevertheless, it reckons that over 65 nations lie along the BRI. The first two-day Belt and Road Forum was held in May 2017 at Beijing. 30 world leaders attended the forum. This forum is deemed to have hosted the largest number of foreign dignitaries meeting in China since the Olympic Games in 2008. How will the BRI benefit investors? China’s ambitious initiative to recreate the old Silk Road for trade between Asia and the rest of the world is poised to trigger massive growth for the transport, power generation and infrastructure construction sectors. What factors will attract more countries to join this initiative? BRI’s land and sea routes will essentially facilitate smoother trade flows amongst countries within the connected regions. This will effectively cut down transportation costs and time. For instance, a freight train launched in November 2017 runs from Kouvola, Finland to Xi’an, China to transport electronics, machineries, and other goods in a span of 17 days. This train route is faster than marine transport and cheaper than air transport. Through major infrastructure projects, Chinese firms may seek to monetize the surrounding land as a means of funding projects, creating real estate opportunities in turn. In due course, job opportunities are expected to be created for locals. For instance, the China International Trust and Investment Corporation (CITIC) – a state-owned conglomerate – raised more than approximately USD113 billion in funds for over 300 projects from Turkmenistan to Singapore; across areas such as agriculture, energy and infrastructure. 10,000 students from countries along BRI routes are shortlisted every year to pursue higher education in China. China’s BRI will fuel cultural exchanges among the countries along its routes and this has been explicitly provided for in the plan. Under the wings of the Chinese Government Scholarship, 10,000 students from countries along BRI routes are shortlisted every year to pursue higher education in China. In 2016, the number of students from various countries that lie along the BRI studying in China stood at 207,746, a 13.6 per cent increase over 2015. Risk assessment is crucial for a mega-project like the BRI. What potential pitfalls and speed bumps should investors keep a look-out for? China can export many products very cheaply, improving purchasing power in BRI economies. However, this process may hollow-out local industries, eliminating jobs. Some of the BRI routes pass through disputed borders. For instance, one route crosses from Iran to Turkey but diplomatic relations among both nations are not good, which could spell unpredictable border closures and further project delays. Moreover, some of member-states in the BRI region suffer from internal strife, poor governance and domestic instability. These issues may cast a long shadow on the likelihood of completing projects in a timely manner. Apart from the geopolitical issues, BRI needs to curb the tendency for corruption and money laundering to creep into BRI deals. Many of the countries in the BRI region do not rank highly in Transparency International’s ranking of corruption perceptions. In December 2015, the funding for three road projects as part of the USD50 billion China-Pakistan Economic Corridor came to a halt in the wake of reports of corruption. China’s BRI involves an investment value of close to USD8 trillion dollars in infrastructure projects that extend across Europe, Asia and Africa. This sets up the BRI as a potential global debt trap for member-states. It should be borne in mind, though, that similar concerns have been expressed in the past about loans extended by Western-dominated institutions such as the World Bank. For instance, Sri Lanka’s Hambantota port project resulted in a debt of USD8 billion to China. Unable to repay it back, the port is now under a 99-year lease with China’s stake at 70 per cent since December 2017. Despite the hiccups, 1,700 BRI projects worth nearly USD900 billion have either been completed or are underway - an immense achievement. Despite the hiccups, 1,700 BRI projects worth nearly USD900 billion have either been completed or are underway – an immense achievement. 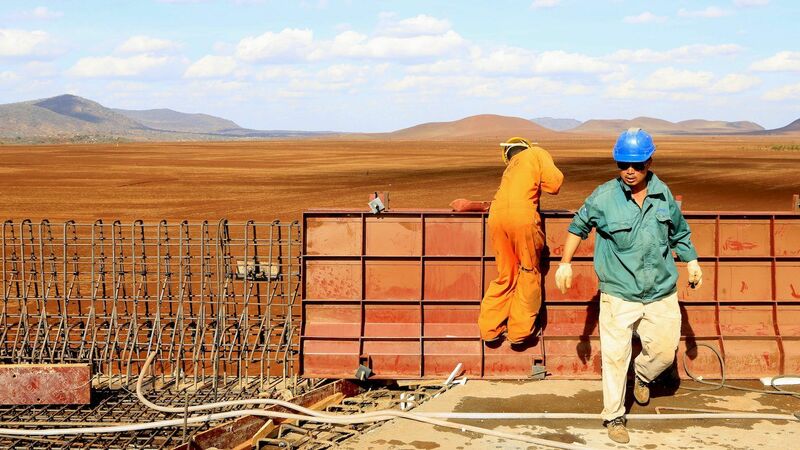 From the railway project in Kenya to lignite coal deposit extraction in Pakistan and hydropower projects in Cambodia, the BRI continues to invest heavily in infrastructure, energy and mining sectors. However, BRI participant-states need to be cautious about opening themselves up to debt and other risks, as the Sri Lankan port case demonstrates. But whatever the risks, most countries in the BRI region want to be participants and not be shut out. Moreover US President Trump’s withdrawal from the Trans-Pacific Partnership (TPP) gives an edge to China, as countries across the region see a void to be filled. The BRI still has a long way to go, and will catalyze a great deal of economic development in the years ahead. Only foolhardy countries and companies would ignore the opportunities it is bound to create.